I went for my 2nd Agnes Acne Treatment at The Clifford Clinic on the 13th February 2015. This second session is to achieve further clearance of other acne spots. Sometimes the acne prone follicle may need more than one session of Agnes Acne Treatment before it can be completely desensitized. As of today, I have no more acne on my face. But I still have some scars. I am still currently undergoing Q switch lasers and Fractional CO2 lasers to treat these scars. 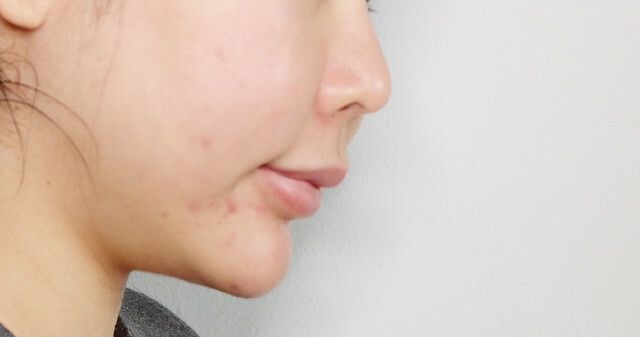 What exactly is AGNES ACNE TREATMENT and what does it do for your skin? 1) What is AGNES ACNE TREATMENT? 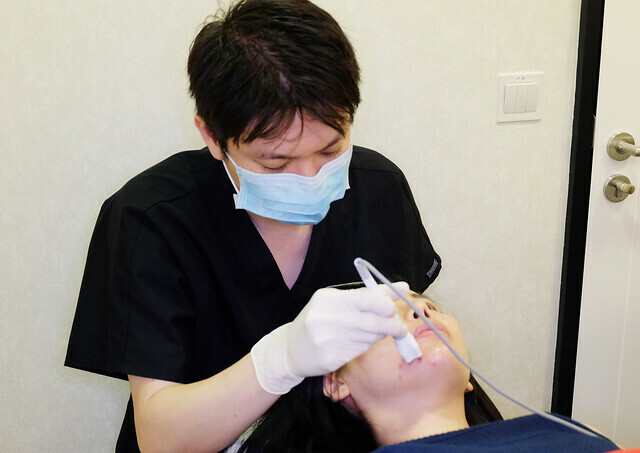 AGNES ACNE TREATMENT is the latest machine from Korea, created specifically to treat adult acne. 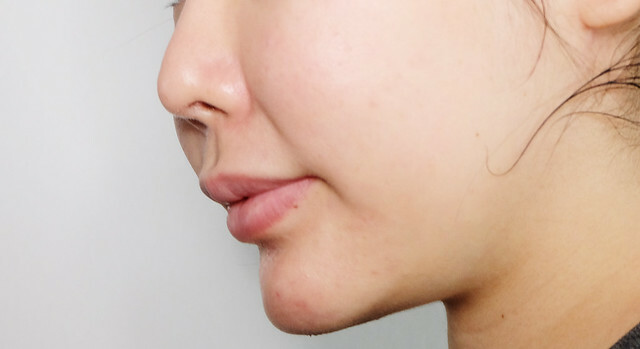 AGNES ACNE TREATMENT uses a tiny partially insulated needle to destroy the sebaceous gland, delivering radio frequency energy to desensitize the gland, preventing further acne formation. AGNES ACNE TREATMENT consist of a 2 step procedure done over 2 consecutive days. 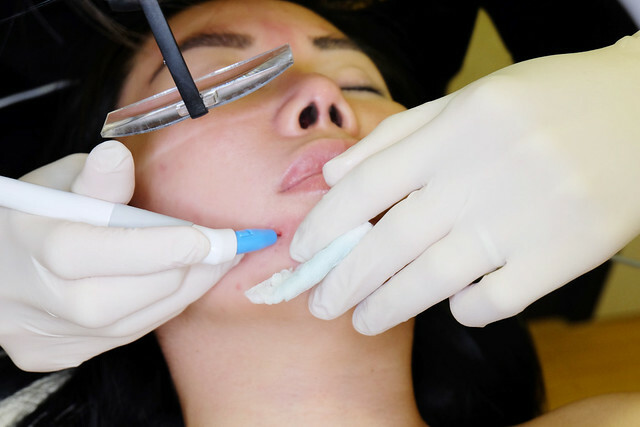 The first step is the micro-needle step used to destroy the sebaceous gland while the second step consist of using a RF probe to remove the unwanted debris. After the sebaceous gland is destroyed, there would be very little chance of acne to form again at that spot. 2) How is acne formed? Acne is an inflammatory disorder of the hair follicle, arising from the sebaceous gland. An over-active sebaceous gland which has been clog by skin cells results in a plug/blackhead/whitehead/comedone. This congestion disrupts the normal movement of skin cells and grease (sebum), resulting in enlargement and eventually rupture of the oil gland. A ruptured oil gland spills its contents of oil and debris into the skin where it leads to swelling and causes redness (inflammation). This inflammation is called acne or a pimple. AGNES ACNE TREATMENT is hence specifically designed to destroy this sebaceous gland, thus preventing the formation of acne. Agnes acne treatment is the permanent cure for acne. 3) Who is suitable for this treatment? AGNES ACNE TREATMENT is best suited for adult acne. Usually above the age of 21 years of age, would be suitable for this procedure. 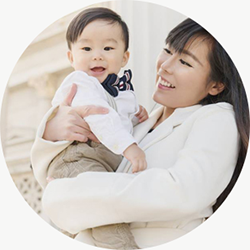 It is best to consult Dr Gerard Ee, to see if you are a suitable candidate. 4) Is the results permanent? Once the sebaceous glands are ablated, the acne should not recur. Hence there is a very long term cure rate and low recurrence rate of your acne. 5) Any side effects and down-time from the AGNES ACNE TREATMENT? There is a small risk of infection but this is usually prevented with antibiotic creams and medications as a precaution. Often 2 different classes of medication will be prescribed after the treatment for 2 weeks. No other oral medication is needed there after. There is no risk of scaring as the needle is very small. The acne will also look slightly red for a few hours after the procedure. You should still be able to go out with some antibiotic creams and sun screen. 6) What is the aftercare required after AGNES ACNE TREATMENT? A facial wash together with some acne creams will be prescribed and these products are to be used for the first few months after the AGNES ACNE TREATMENT. You can return back to your normal skin care regime once the acne has been cured. 7) Can you put on make-up after the AGNES ACNE TREATMENT? It is advisable not to apply on make up after the AGNES ACNE TREATMENT. Just like after an extraction procedure done by a therapist, you would not want to put on any make up after that. You can apply on make up after the 2nd day. Most patients should be able to report that they have fewer outbreaks within 2 weeks after AGNES ACNE TREATMENT . 9) How many times do I need to do this AGNES ACNE TREATMENT ? Most patients only need a single treatment. However there are times where not all the sebaceous glands can be identified at one setting and it may need to be repeated again. 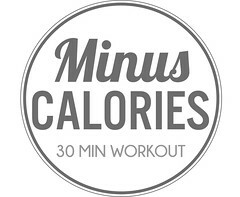 Usually one should not require no more than 3 times in total. 10) Is this procedure painful? We would apply a strong numbing cream before the procedure. This helps ease the discomfort during the procedure. 11) How much is the AGNES ACNE TREATMENT ? It depends on the severity of your condition. The procedure would start from $800 net onwards. 12) If I have implants, can I still do the procedure? Implants are placed very deep in the tissue. The AGNES ACNE TREATMENT only targets the sebaceous glands which are located in the dermis. The electric currents delivered do not affect the implant. Dr Gerard Ee starting the AGNES ACNE TREATMENT on me. lasers and AGNES ACNE TREATMENT in January 2015. As you can see my skin has improved tremenduously!!!! I went to Feet Haven for a relaxing foot reflexology session. 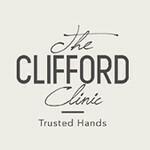 I went back to The Clifford Clinic for the second part of the procedure. Dr Gerard Ee used a Radio freqency probe to massage my face. Completely unedited. No make-up. As you can see my skin looks fairer and there are alot less scars. I highly recommend AGNES ACNE TREATMENT as it has helped me to cure all my acne. I do not use any acne creams now. I am able to go out with just a thin layer of tinted moisturiser and look good. AGNES ACNE TREATMENT has helped me to remove all my acne permanently. I am soooo happy that I found out about AGNES ACNE TREATMENT while I am in Singapore. I am returning to Europe next week and I would come back to Singapore for laser treatments soon. I am confident that Dr Gerard Ee can remove all my acne scars and help me in my journey to flawless skin. Call 6532 2400 and book your appointment with DR GERARD EE if you need help with your cystic embedded acne. 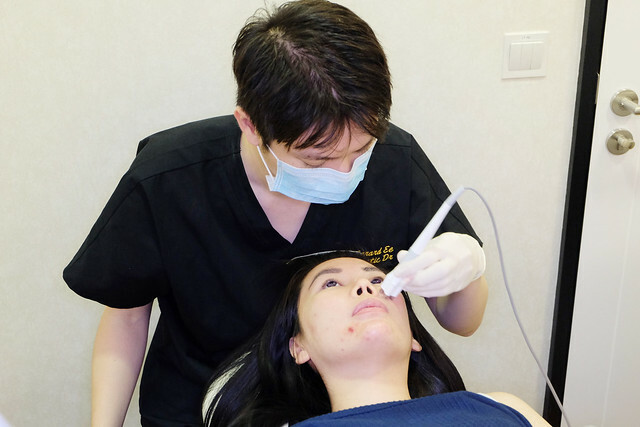 Dr Gerard Ee can help you solve your acne with just 1-3 sessions using the AGNES machine. This AGNES machine is the 1st of its kind in Singapore and it has been a BIG HIT in the korean market.